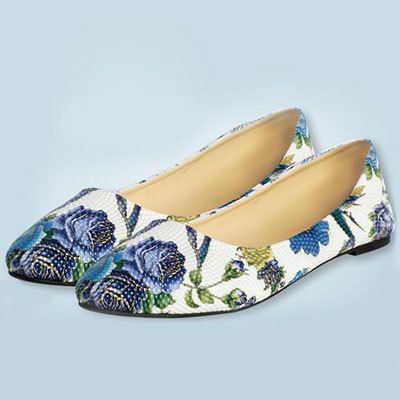 These classy Blue Rose Loafers will take you anywhere! Textured-relief styling with beautiful blue and purple roses accented in gold-outline. Easy comfort and easy wear vinyl flats with reinforced heel. Available in whole sizes. I am ordering larger. These are European sizes I take a 40. These came in 39 for size 9. That is unusual. I will try again.